Tuesday and Thursday, 11am to 6:30pm. Wednesday and Friday, 11am to 7:30pm. Patients need to book their appointment in advance but can book for appointments the same day. 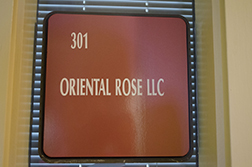 Oriental Rose LLC provides Traditional Chinese medical health services with a full diagnosis and personalized treatment options for your individual needs including Acupuncture, moxibustion, cupping, shiatsu, gua sha, herbal formulas, dietary and lifestyle advice. Dr Noonan's primary focus with Traditional Chinese Medicine is for chronic or ongoing symptomatic conditions such as chronic fatigue, allergies, hay fever, anxiety, stress, depression, insomnia, localized and systemic pain, back problems, arthritis, fibromyalgia, migraines and other similar conditions as well assisting with weight loss, fertility issues, gynaecological and urological issues. 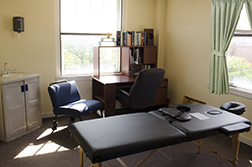 Like our treatments and diagnosis our pricing is not a one size fits all approach; discounted diagnosis and treatment rates are available for students, emergency services personnel, seniors, social security disability, active service members, veterans and Friends of the Owl.